One night, last September, I was able to observe the airglow for the first time! Greenish waves that slowly covered the entire sky, caused by a number of processes (like the recombination of atoms which were photoionized by the Sun, or the chemiluminescence caused by the reactions between oxygen and nitrogen) in the atmosphere of the Earth, at about 100 km of height. An evening dominated by bouts of clear skies between one rain and the other, with fast-moving clouds all around. 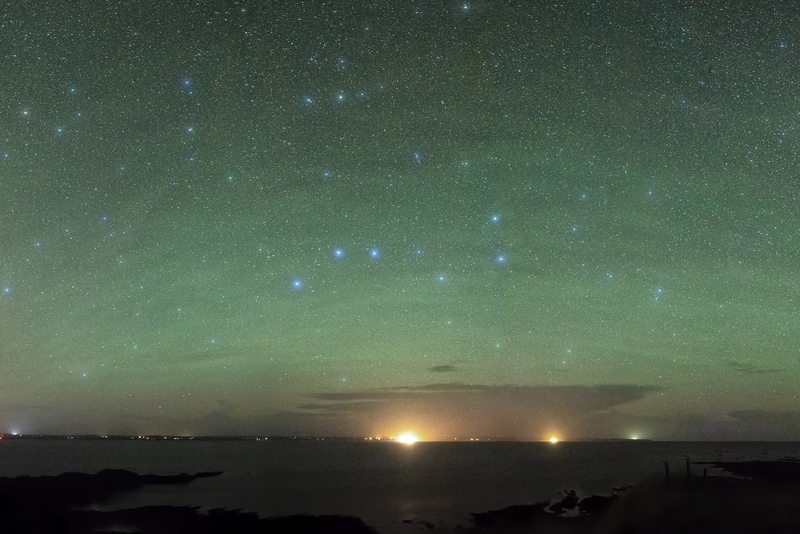 A wonderful Ursa Major was visible toward the horizon, together with many constellations of the northern night sky. Unforgettable memories in the Outer Hebrides!